Spent several days building the subs for customers. Then a couple of more getting my shop and garage organized and cleaned up for a large order of Spock ears coming up. As well as making room in the garage to do work on the Enterprise. 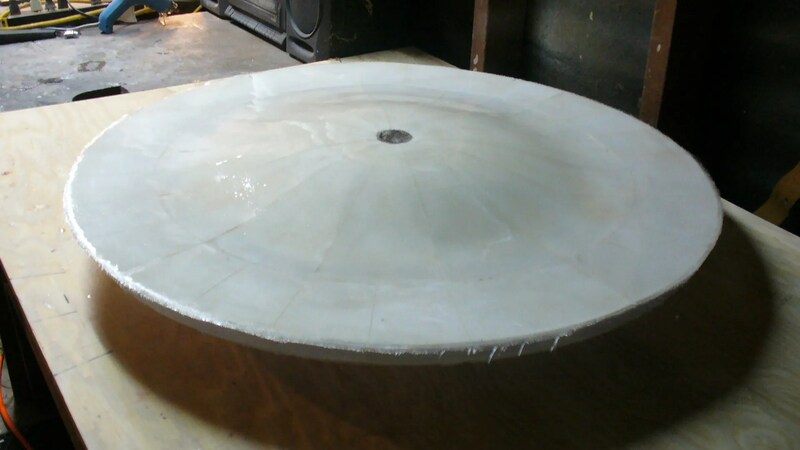 Today I was able to finish up the saucer. 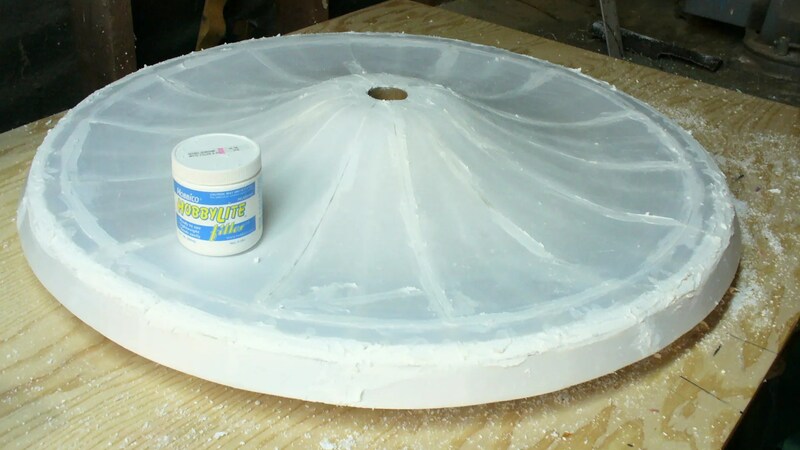 Added the foam to the voids on the bottom edge and sand them round. 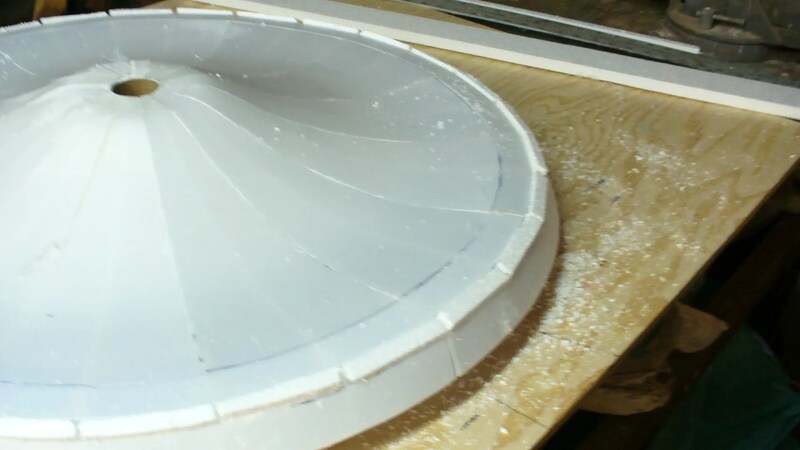 A bunch of filler that will later be sanded before I glass the bottom and the rim. 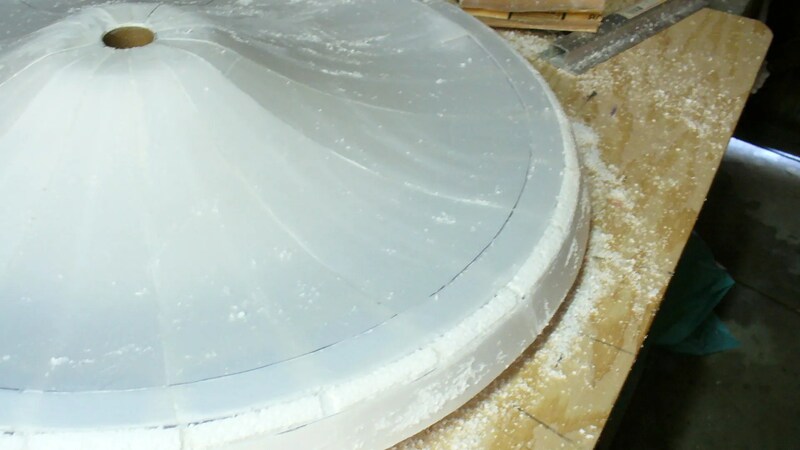 But today I also glassed the top of the saucer. 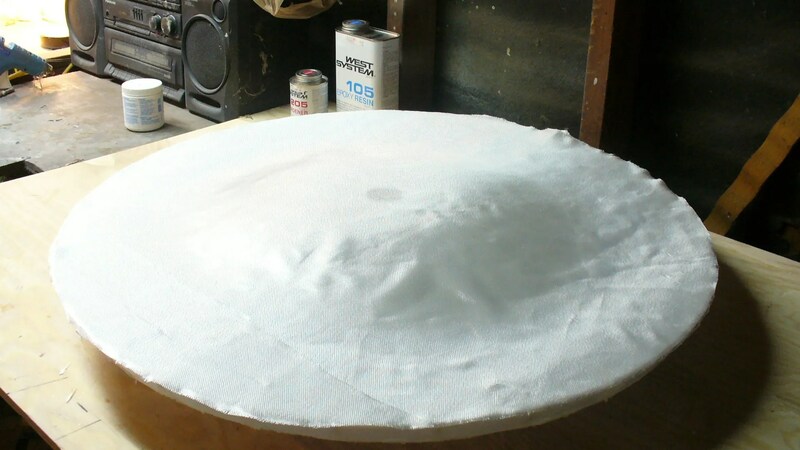 Once the whole saucer is glassed I can man handle it and clean up the geometry with a lot of filler and sanding until it’s all smooth and has a thick primer coat. Once that’s done I can scribe details into the hull and move ahead with building the bridge and other parts for the saucer section. looks great Steve. 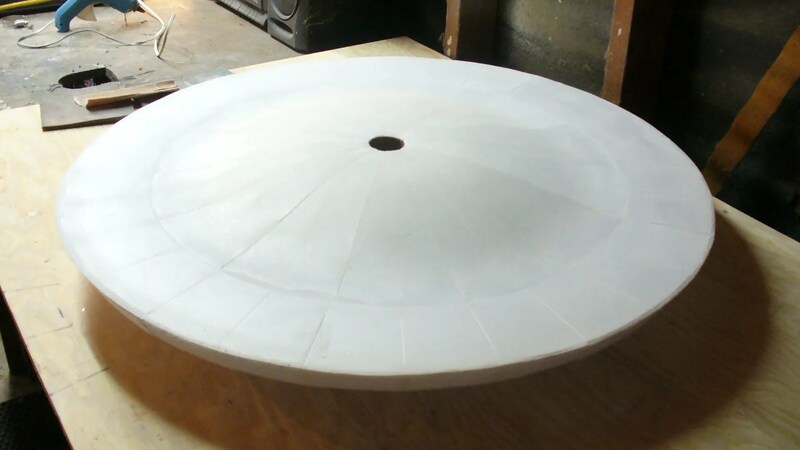 Hope I have the time and health one day to take on this very project. Awesome work. Jeff you will and thanks for the help and the beautiful card you sent us! Quick question support for the nacelles are you going to have a metal amature inside the pylons to keep them from drooping or just going to thicken the shell of them with extra glass layers? Or are you going to tab them deeper inside the engineering spaces between some saddle blocks? Ordered final bits for Sealion last night fabricated motor mount and a few other tidbits. now the motors in place I can start the top deck. Don’t know yet John. Don’t think I’ll have the metal armature. Epoxy is pretty strong. But the rest? Yes. Good on the Sealion John I look forward to it. You and me both Steve it’s been a long time in development once its done I can tackle some others half finished due to the travel thing. It’s nice to be home and have time to work again. Oh yeah started roughing rudder out fun fun. LOL. Happy Halloween by the way. Yes John, happy Halloween to both you and Denise!